Who's in it? : Nobody you know; unless you know them from this. What's it about? : Class warfare in a dystopian future. How is it? 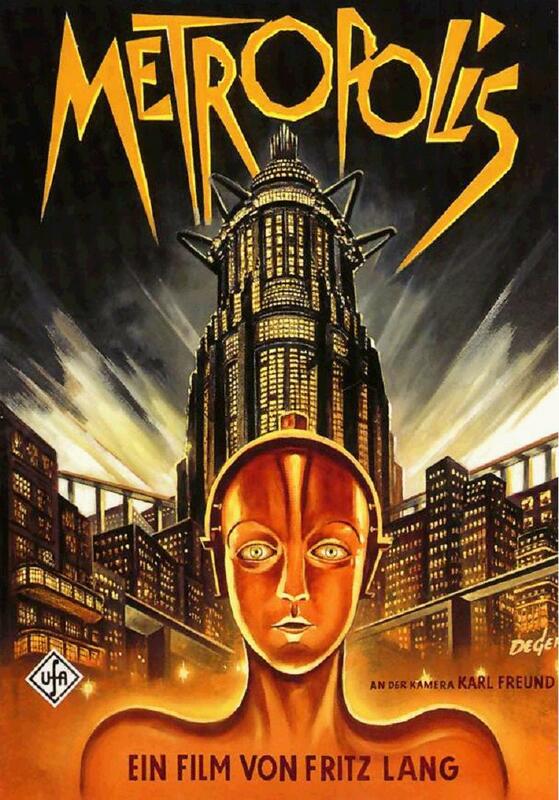 : Metropolis doesn't seem like a natural pick for a box set of horror movies, but the more I think about it, the more appropriate it is. There's a mad scientist, but that doesn't make it a horror movie. His creations are more into encouraging social rebellion than murdering villagers. There's not even an iconic horror actor to justify the movie's inclusion. It is however a German Expressionist film like horror classics Nosferatu, The Golem, and The Cabinet of Dr. Caligari. That by itself doesn't make it a horror film, except that the imagery of Metropolis is as stylishly unsettling as any of those films. It's meant to frighten us; just not for thrills. It wants to scare us into action, or at least into thinking a certain way. It gets praised a lot for good reason. It's a lavish spectacle that still looks amazing 85 years later. The special effects hold up, the action is beautifully choreographed, and the world-building is stunning and believable. The world of Metropolis feels like a real place, though not one you'd want to live in unless you were ridiculously rich. The theme of rich bastards vs. poor workers is more timely than ever, but it's the handling of that theme where the movie falls short. It's ridiculously unsubtle and you're told exactly how you're supposed to feel every step of the way. If it's not through imagery, it's through speeches. But even though the execution is simplistic, the message isn't. Metropolis isn't a Marxist propoganda film about the Man keeping the workers down. It's about the classes learning to co-exist, not just peacefully, but symbiotically. That's a powerful statement and I have to like the movie for making it in such a visually impressive - if not exactly elegant - way. Who's in it? : No one you know. What's it about? 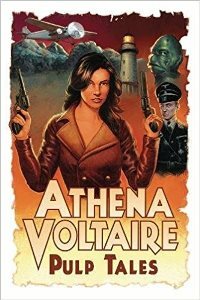 : A former vaudeville actor kills and murders the mad scientist he's been apprenticing for; then carries on the the crazy man's legacy much too well. How is it? 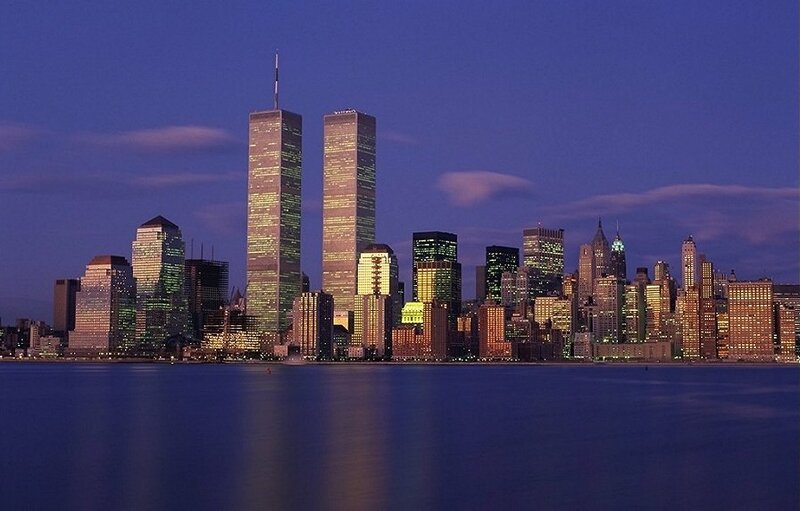 : Wow. This thing, you guys. It's part mad scientist flick, part exploitation film, part homage to Edgar Allen Poe, all masquerading as sort of an educational film on psychoses. The plot about the actor and his boss is cut with intertitle cards containing clinical-sounding quotes from a journal about the criminally insane. As the actor descends deeper into madness, there are truly disturbing scenes of violence against women and animals. There are also relatively harmless, but no less ridiculous scenes of women standing around in their underwear and posing while reciting exposition. The movie is a hot mess. The only positive thing I'll say about it is that it's kind of fun to play Spot the Poe Reference. I've no idea why the writer gets dragged into it, but part of the movie is an adaptation of "The Black Cat" and there's an explicit reference to "Murders in the Rue Morgue" at one point. Poe deserves better. What's it about? : A mad scientist (Zucco) creates a werewolf (Strange) to take revenge on the scientific community that mocked and ridiculed him. They mocked and ridiculed the scientist, that is; not the werewolf. How is it? 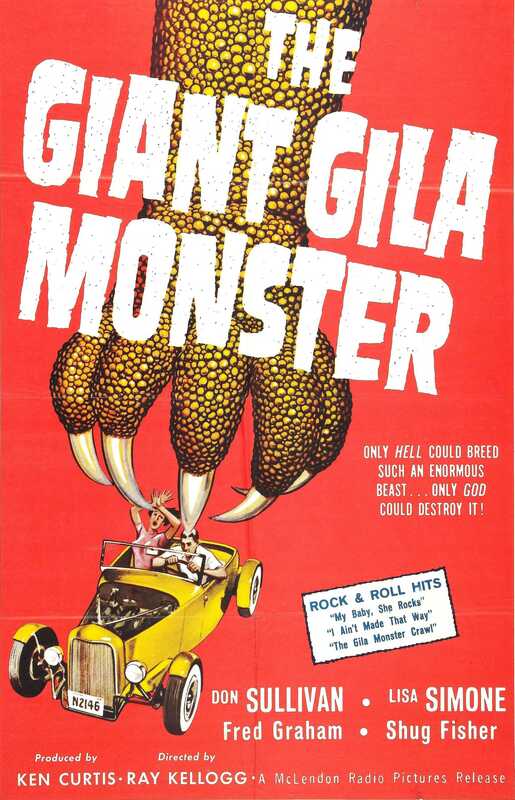 : It's worth watching if only to see Glenn Strange out of his Frankenstein make-up. For those who don't recognize Strange's name, he played the Frankenstein Monster for Universal after a couple of failed attempts with Lon Chaney Jr. and Bela Lugosi. In fact, if you count Abbott and Costello (which you totally should because it rules), Strange played the Universal Frankenstein Monster as much as Karloff himself; the other two times being in House of Frankenstein and House of Dracula. Thanks to his ability to disappear into the role, he's better at it than anyone but Karloff, too. 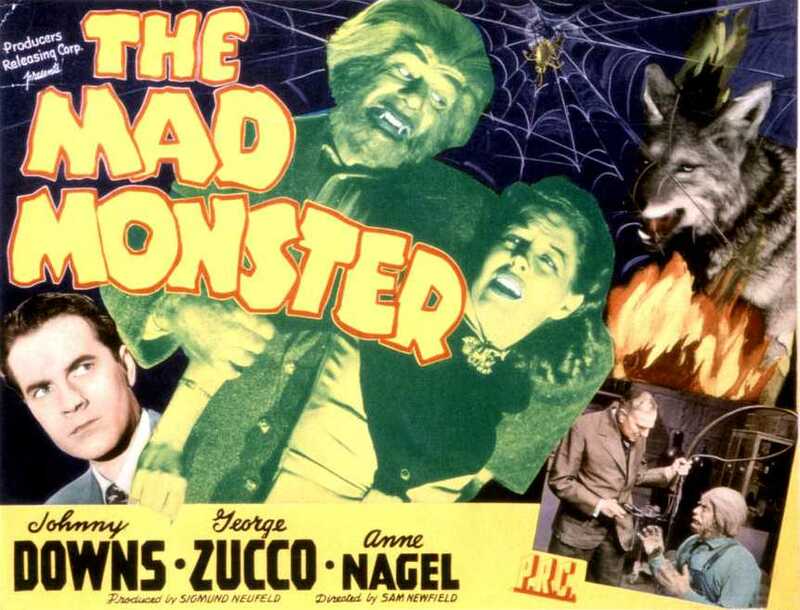 The Mad Monster shows just how enormous a guy Strange was and it's a joy to see him play the big, dumb bohunk that evil Zucco turns into a werewolf. It's kind of cool that Zucco initially develops the werewolf serum in order to create an army of werewolf super-soldiers for WWII. I'd like a Captain America crossover, please. Unfortunately, those plans get sidetracked for the revenge scheme, but that's well done too, at least at first. There's a really cool scene early on where Zucco talks to the ghostly figures of his former colleagues in the science community. It's clear that the figures are all in Zucco's imagination and his arguing with them makes it obvious just how crazy he is. It's too bad that the movie drags towards the end and that Zucco gets his comeuppance in a totally random way that has nothing to do with any action of any character in the movie, but the overalls-wearing werewolf makes up for that. What's it about? : A doctor battles his twin brother, who's a vampire. How is it? : Think Bela Lugosi's Dracula if Dracula and Van Helsing were twins. 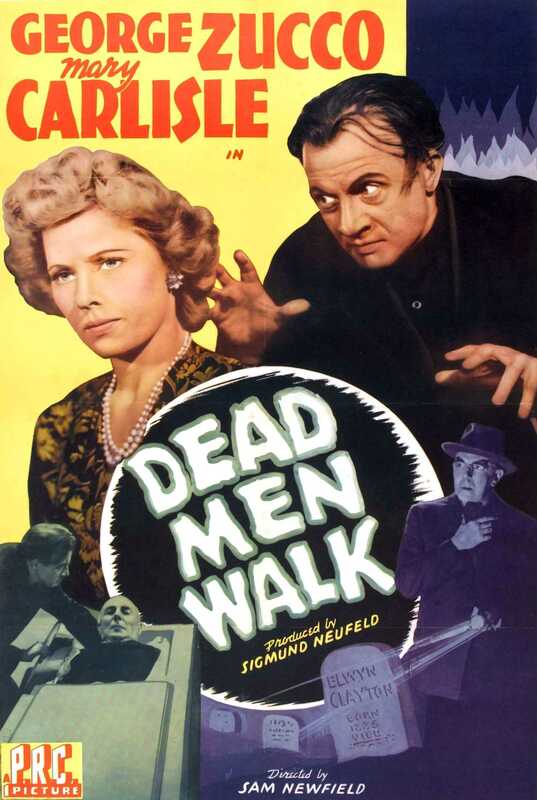 For that reason, Dead Men Walk is actually the more interesting story. 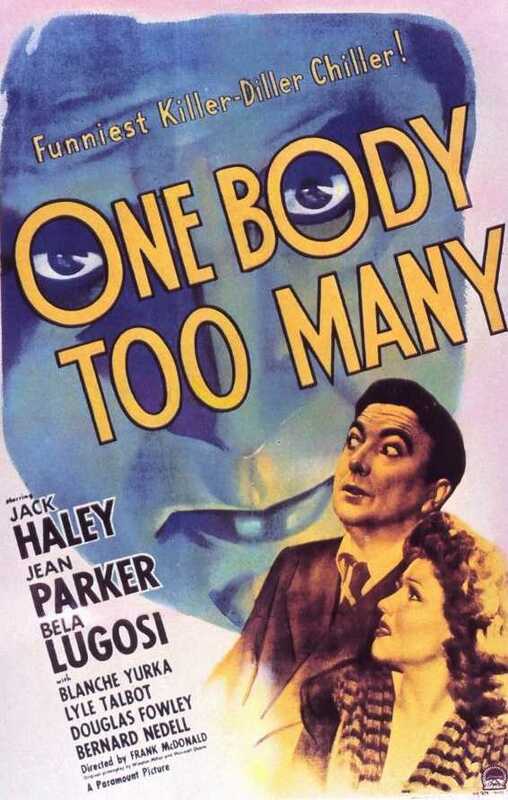 If it only had Bela Lugosi and director Tod Browning, it would have been the better movie overall. It even has Dwight Frye, more or less reprising his Renfield role as the vampire's henchman. 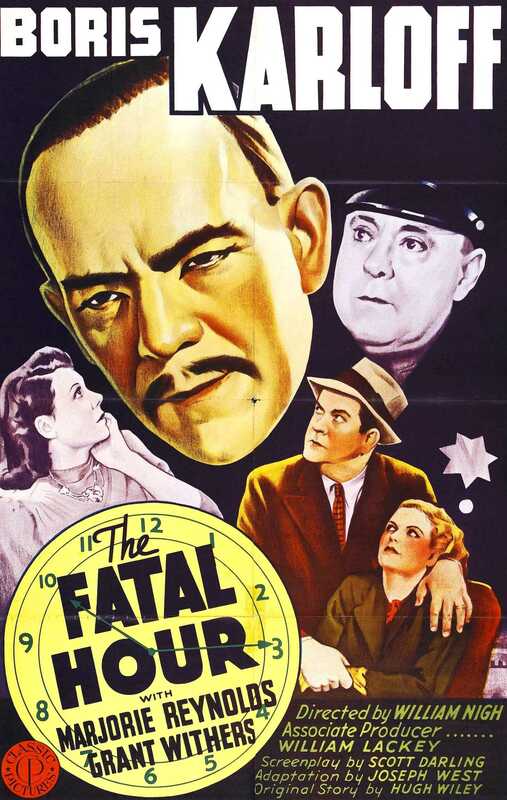 The movie opens on the funeral of evil Elwyn Clayton, who was killed by his brother, the kindly Dr. Lloyd Clayton. Unfortunately, Elwyn resurrects as a vampire and begins to murder young girls. Things get especially tense when he targets Lloyd's niece Gayle as his next victim. It's not clear if that makes her Elwyn's daughter or the child of an unseen, third sibling, but probably it's the latter. The twins element of Dead Men Walk is more than just a gimmick. The villagers, including Gayle's fiancé, get confused about which Clayton is a threat to the local women and - thinking that Elwyn's dead - they begin to suspect poor Lloyd. That's a cool angle. 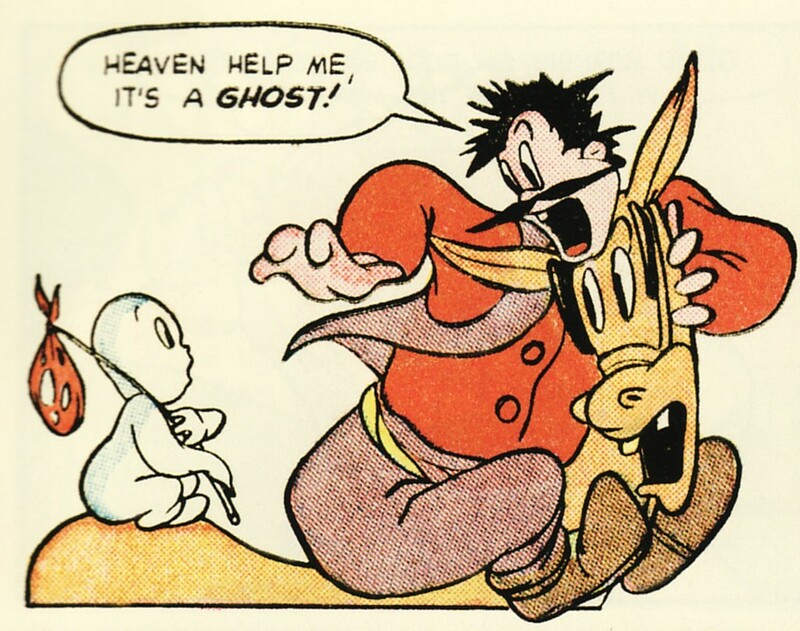 Imagine the trouble Van Helsing would have had if he had to not only defeat Dracula, but do it while everyone thought that HE was the real threat. George Zucco is pretty underrated as a horror icon. He wasn't in as many movies as Lugosi and Karloff, but he's menacing and quite memorable. In addition to being an excellent Moriarty and having a small, but important role in House of Frankenstein, he was in most of Universal's Mummy movies and did a great job in the movie I'll be talking about tomorrow, The Mad Monster. 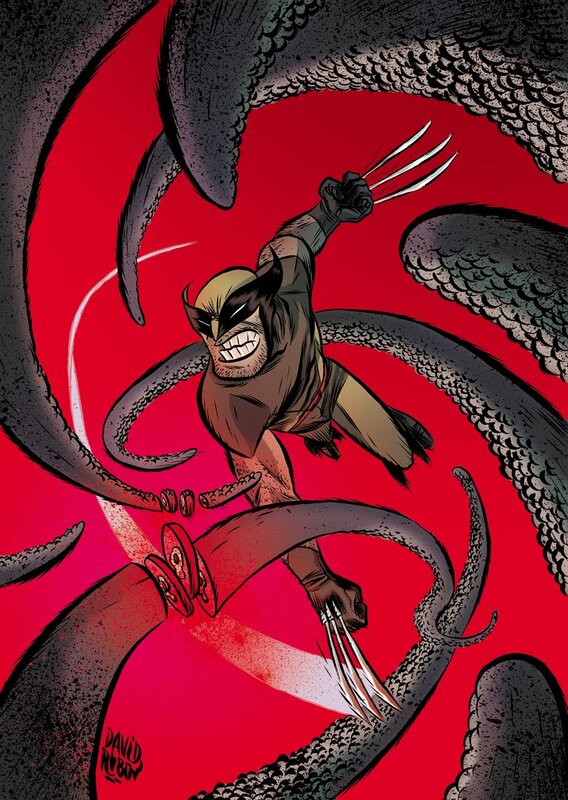 I know I've shared this piece by the awesome Ben Caldwell before (probably a couple of times), but I don't remember if it's been an Official Everyone Hates Cephalopods entry. Even if it has, I'm making it one again because I love it so. Thanks once more to Ben for giving it to me. What's it about? : An undercover cop's death leads to more murder for Inspector Wong to solve. How is it? 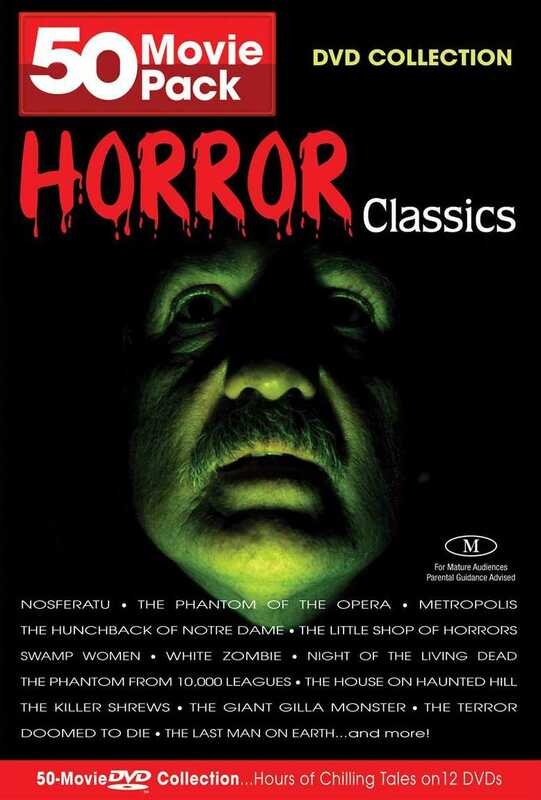 : The only reason it's in the 50 Horror Classics collection is because it stars Boris Karloff. 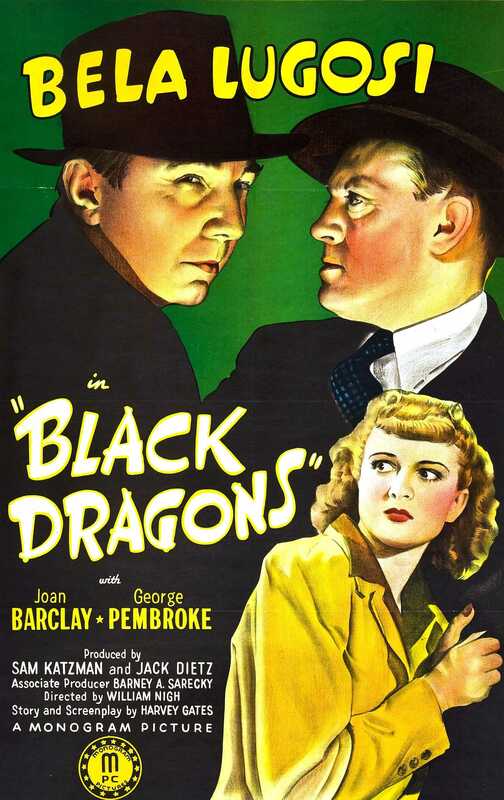 It's not a horror movie though; just a straight up murder mystery, the third in the series with Karloff as Chinese detective James Lee Wong. Though obviously trying to capitalize on the popularity of Charlie Chan, the Wong series can't compete. It's always fun to watch Karloff - and I'm glad the movie's included in the collection, even if doesn't belong - but Wong doesn't have half the charm of his more famous predecessor. He's pleasant and dignified, but Karloff never exactly disappears into any role he plays and that doesn't change just because he's in yellowface. It's hard not to be cynical about Inspector Wong when it's really just about Karloff as a detective and - Hey! Charlie Chan is popular; let's make him Asian! One cool thing about the Wong series is that he has a pretty good supporting cast in reporter Bobbie Logan (Reynolds) and Police Captain Bill Street (Withers). Wong stays one step ahead of them, but I like the romantic tension between the couple as they fight and try to out-sleuth each other. 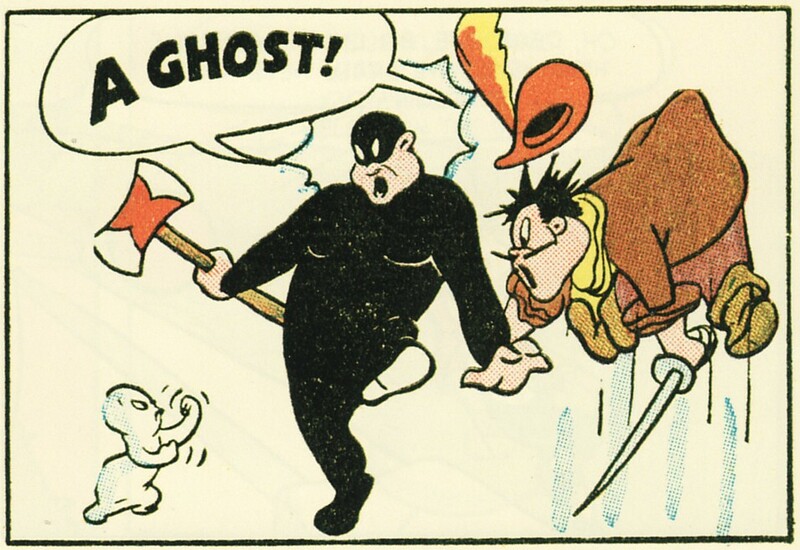 It's a refreshingly different approach from Charlie Chan's bumbling son as sidekick. What's it about? : A giant lizard attacks people around a rural town. How is it? : Groovy, Dad. It's way low budget, but director Ray Kellogg knew how to use his limited resources. He doesn't even try to put people and monster in the same shots together, but the editing is effective and creates the illusion that everyone's inhabiting the same space. The models that the monster appears with aren't half bad either. Sullivan is really likable as teenager Chase Winstead. The character's perfection borders on ridiculous at times (he keeps his gang of friends under control while also holding down a job to support his widowed mother and buy leg braces for his crippled sister), but Sullivan is so affable that it's impossible to hate his character. And the more time the story spends with Chase, the more it reveals that he isn't actually perfect after all. He's a responsible kid, so he has the trust of Sheriff Jeff (Graham), but he doesn't always use that trust very well. He never outright betrays the lawman, but Chase is a kid and he makes mistakes like a kid. Just as the sheriff makes a mistake by relying so heavily on a teenager. It's a realistic depiction of a the relationship without letting either character devolve into stereotypes. It's refreshing and cool. What's it about? : A scientist (Jagger) uses zombie powers to get the girl. How is it? : It takes a long time to figure out what Revolt of the Zombies is about. It starts out about English imperialists fighting the zombie army that's fueling a Cambodian revolution, but that quickly fades into the background. Then it looks like it's going to be about the team of archeologists and other scientists who are looking for a way to stop the zombies, but that too becomes backstory. Eventually it becomes about a love triangle between two of the scientists and the daughter of a third, and even though that's the least interesting angle on the tale, that's where it more or less stays. Claire (Dorothy Stone) is in love with Clifford, but he doesn't seem that interested in her until she starts paying attention to poor Armand (Jagger). Claire dumps Armand as soon as Clifford comes around and there are lots of speeches advocating being ruthless in the pursuit of one's desires. Armand takes this to heart, so when he discovers the secret to creating zombies, he uses it to separate Claire from Clifford and force her to marry him. Unfortunately, all three of these people are incredible jerks and I couldn't have cared less whether any of them got together or spent the rest of their sad, selfish lives alone. It's worth pointing out though, that - evil as he is - Armand never turns Claire into a zombie or directly subjugates her will. 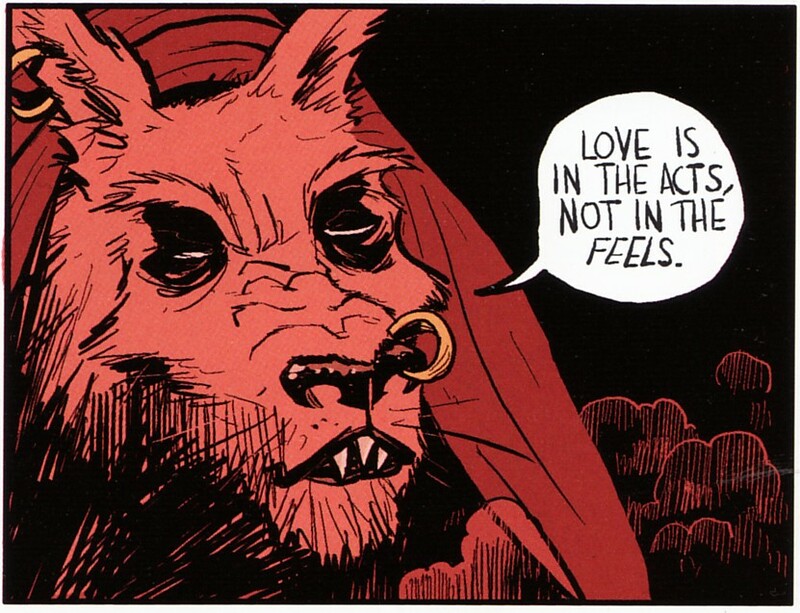 Unlike the villain from White Zombie, he's smart enough to know that he won't be satisfied with that relationship. But he does have to figure out that the result is the same whether he influences her directly or through other people. He can't be happy unless Claire loves him of her own free will. That would be an interesting theme if it hasn't been done so many other times, including - like I said - White Zombie. Revolt of the Zombies has something else in common with White Zombie too. It steals the close-up shot of Lugosi's eyes from the earlier movie and uses it whenever someone's being controlled by zombie power. It's a cool shot, but lifting it from another film is a lame move. What's it about? 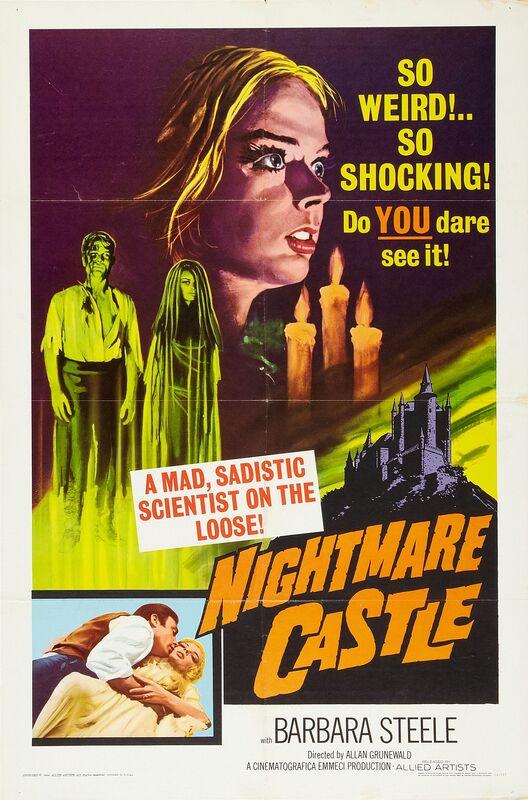 : An officer (Nicholson) is separated from Napoleon's army and gets entangled in ghostly goings on in a baron's (Karloff) spooky castle. How is it? : Hammer horror a la Roger Corman. Corman does a nice job replicating the mood of Hammer films, but there are two major problems with The Terror. First, Jack Nicholson is as convincing as you imagine he'd be playing a French officer. He's a strangely likable hero, but completely out of place in this period piece. The more serious problem though is that the story makes no sense. It starts off confusing enough with Nicholson's meeting a girl (Knight) who may be a local villager in thrall to a witch, some sort of Ladyhawke-like were-raptor, the ghost of Karloff's dead wife, or something else entirely. That's all weird and cool; I like being kept on my toes. But the more twists and surprise revelations the screenplay reveals, the less it all holds together. 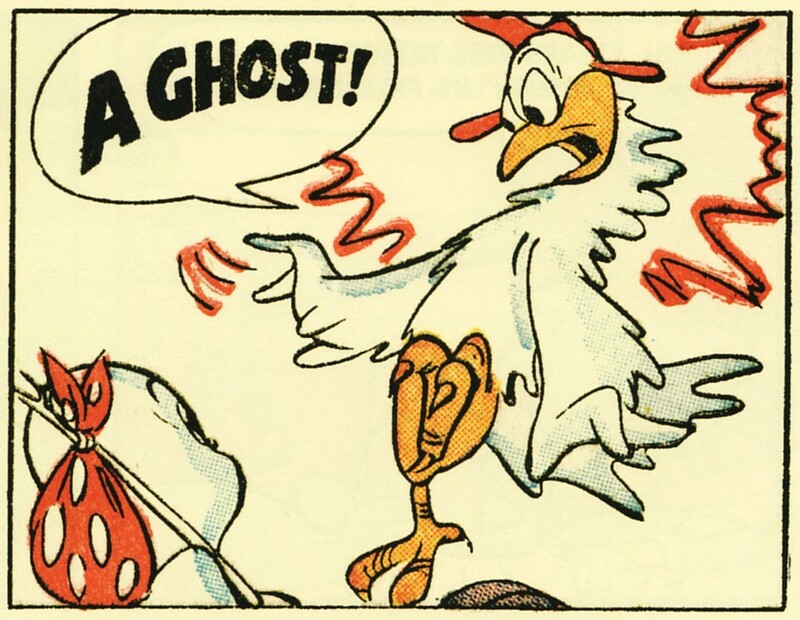 By the end, there's some whackadoo supernatural stuff going on that can't be resolved with the rest of the stor; it's just there to be shocking. 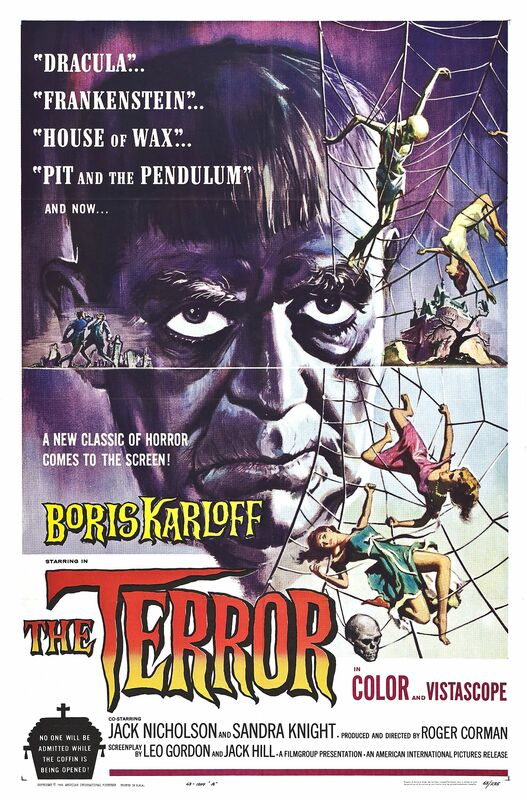 Karloff was 76 years old when he made The Terror, so he's not very physical in it, except in the climax. I don't want to spoil details, but the biggest shock in the film is Karloff's impressive burst of activity at the end after watching him shuffle slowly around the castle for the first hour. Regardless of his activity level though, Karloff easily outacts everyone else in the movie. 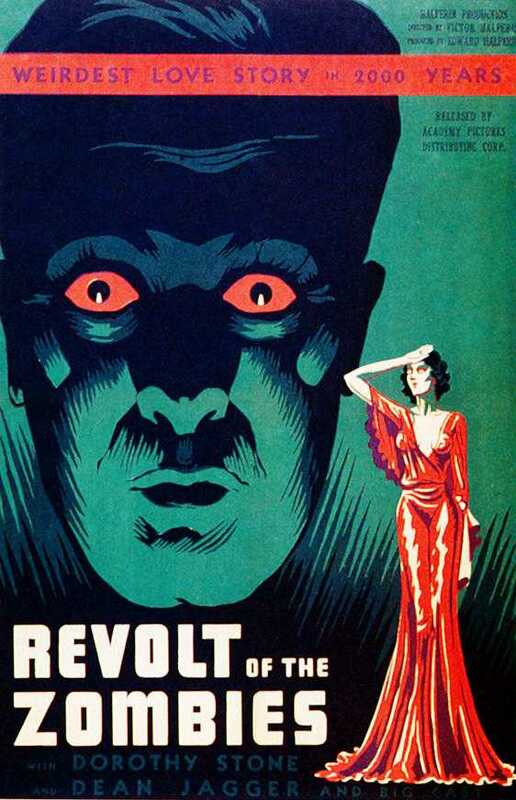 Rating: Turkey, but worth watching for Karloff fans or anyone interested in the novelty of young Jack Nicholson and Roger Corman's trying to emulate Hammer's period-horror films. What's it about? : An irradiated scientist (Johnson) mutates and goes on a mindless killing spree. How is it? : This movie is such a liar. It starts with that poster that claims Johnson plays a "double role." They're counting both the scientist and the "beast" that he mutates into (actually just some ripped clothing and radiation burns). And the woman on the poster is in one scene: lounging - unspeaking - in a bed that one of the main characters crawls out of to go hunt the Beast. That she made the poster and the cover of one DVD print goes to show how little this thing has going for it. Seriously. 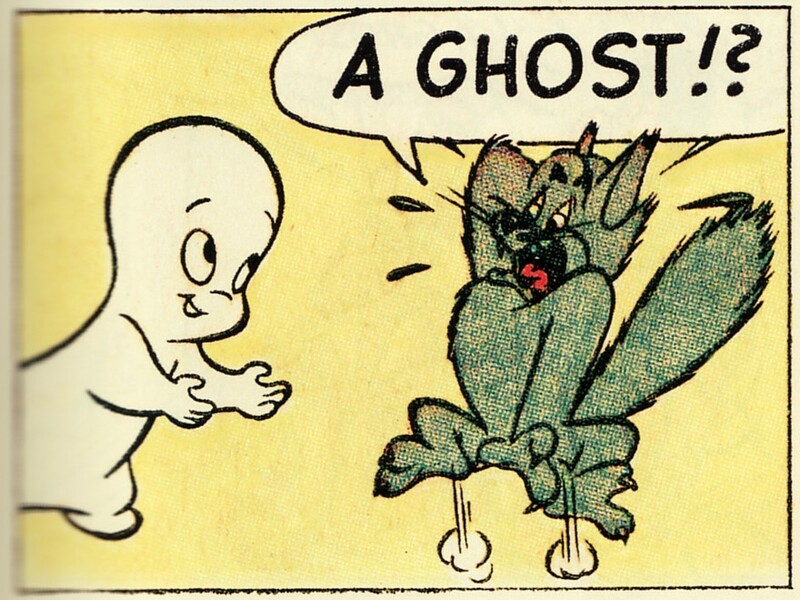 It's basically a silent movie with some sound effects, voice-over narration, and dramatic readings. The most entertaining thing about the movie is watching the director figure out new ways of keeping the actors' mouths off camera so that someone can fill in the voices later in ADR. The narration starts off laughable too, but becomes increasingly annoying the more times the narrator refers to being "caught in the whirlwind of progress" and/or "the wheels of justice." The platitudes just...keep...coming: "the hunter and hunted," "man's inhumanity to man," "kill or be killed." It's like listening to that one kid in school who insisted on reading his poetry to you, except this time you don't have to feel like a jerk for snickering out loud. Every once in a while the narrator says something awesome like, "Nothing bothers some people, not even flying saucers." 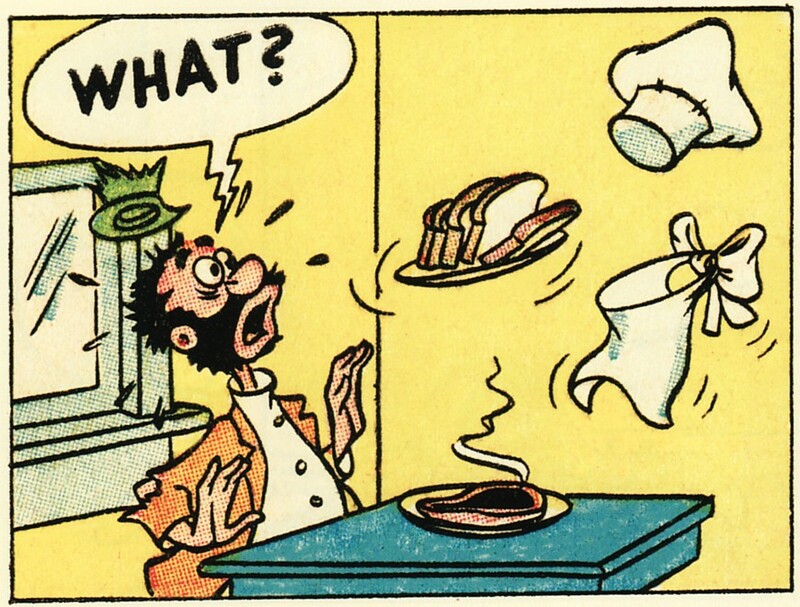 Of course, there's no flying saucers in the movie, so it makes no sense, but at least it's original. There's no plot either. It's barely a story at all; just a series of connected scenes. Scientist Johnson arrives in Nevada to defect from the Soviets, but is chased into the Yucca Flat nuclear test region by Russian assassins and turns into Beast Johnson. Then there's a bunch of scenes of him killing people before eventually settling in to stalk a couple of vacationing kids who wandered away from their car. By "stalk" of course I mean that he lumbers after them, shaking his walking stick at them like he's trying to get them off his yard. 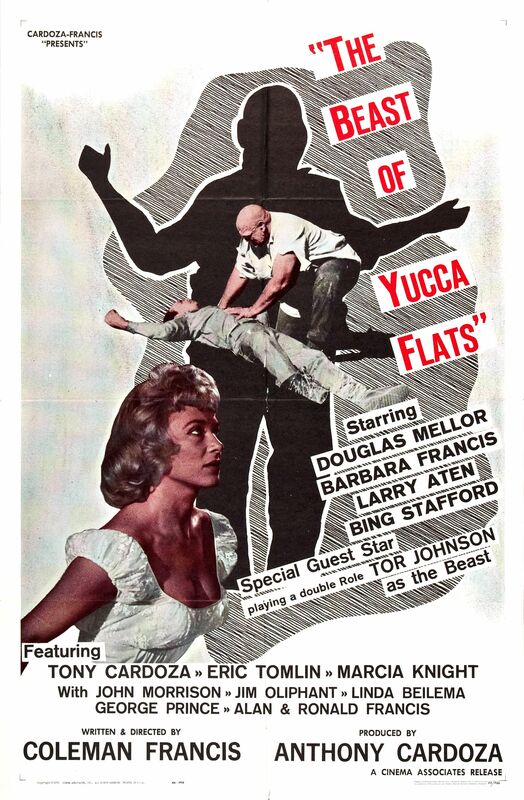 The Beast of Yucca Flats uses a walking stick. Tor Johnson, ladies and gentlemen. I haven't even gotten yet to the pair of cops who track the Beast and accidentally try (hard!) to kill the father of the missing kids. Or the hint that the Russians made it to the moon first, but is never mentioned again. There's nothing Good about this movie. It's unintentionally funny for a while, but watching it by myself, rolling my eyes at it lost entertainment value about thirty minutes in. If you must watch it, have some friends with you. I'd say that the best thing about it is that it's less than an hour long, but it still could have stood to lost another forty minutes. What's it about? : A newlywed couple (Hudson and Webber) moves into the ancestral home of the husband's deceased, first wife, but ghosts from both of their pasts make it difficult to settle in. How is it? : First of all, I love the guarantee on the poster, and it's repeated at the beginning of the film. It actually is a pretty effective horror movie. 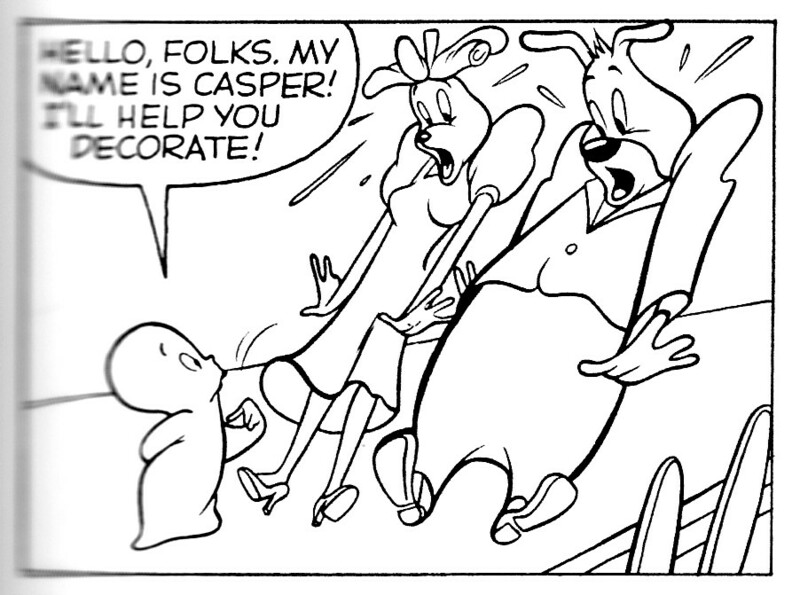 It eases into the scares with sophistication I don't usually associate with '50s horror. 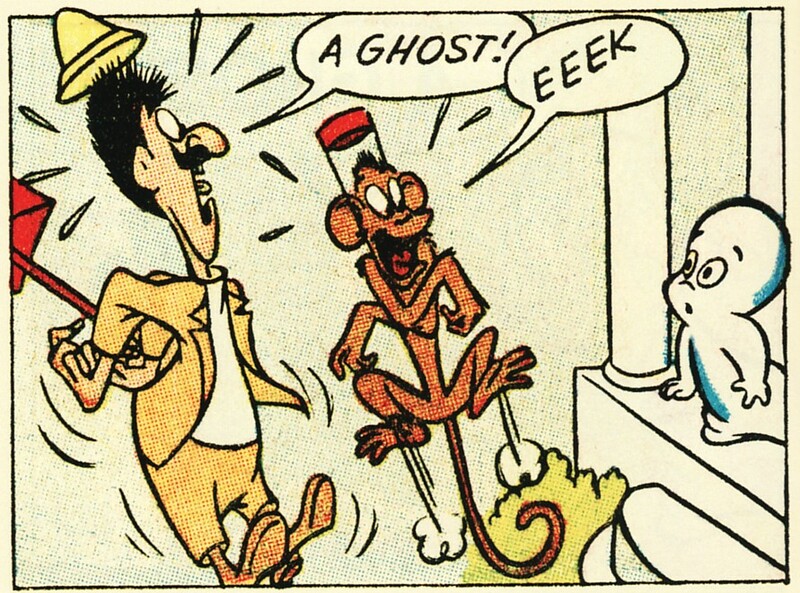 Hudson and Webber's characters seem happy and normal at first, but at least one of those adjectives is being faked for each of them. There are some unanswered questions about the death of Hudson's first wife (though hardly anyone but the audience is asking them) and we slowly learn that Webber has some serious skeletons in her own closet. Complicating the situation is the presence of the first wife's developmentally challenged, childhood friend (Nicol) who also serves as gardner to the grounds of her estate. He misses his friend dearly and doesn't exactly welcome Webber. In the midst of this, Webber starts hearing noises and seeing a skull in various places: a cabinet that won't stay closed, the ground outside her window, chasing her across the floor. Is she crazy? Is the gardner up to something? Is her husband trying to make her insane Nightmare Castle style? The mystery probably won't fool you, but the movie is very effective at portraying the feeling of being alone in a house where every noise sends the imagination racing. The skull is also super creepy as long as it's just appearing various places, but loses some power once it starts moving. 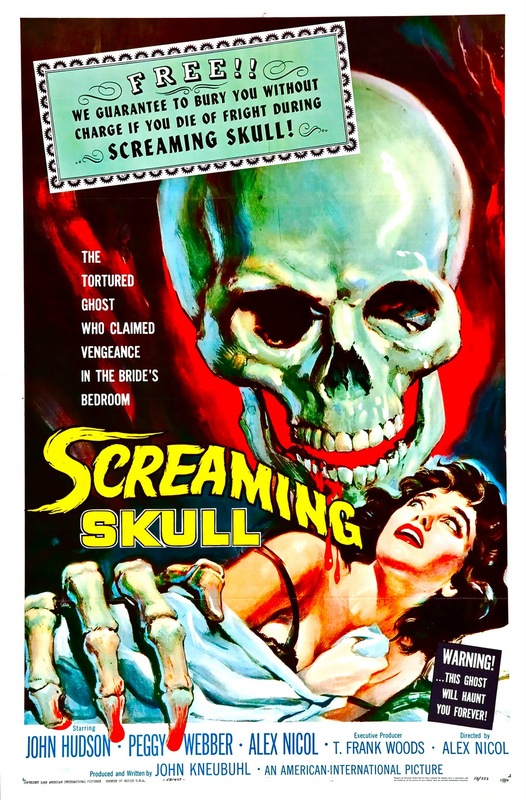 Like all horror movies, Screaming Skull is best when it lets the audience's imagination do the work. Fortunately, that's most of the time, and even when the film uses effects, they're astonishingly good. Rating: Good. Almost a Classic. What's it about? : Giant leeches. Attacking. How is it? : Pretty uninspired for the most part. 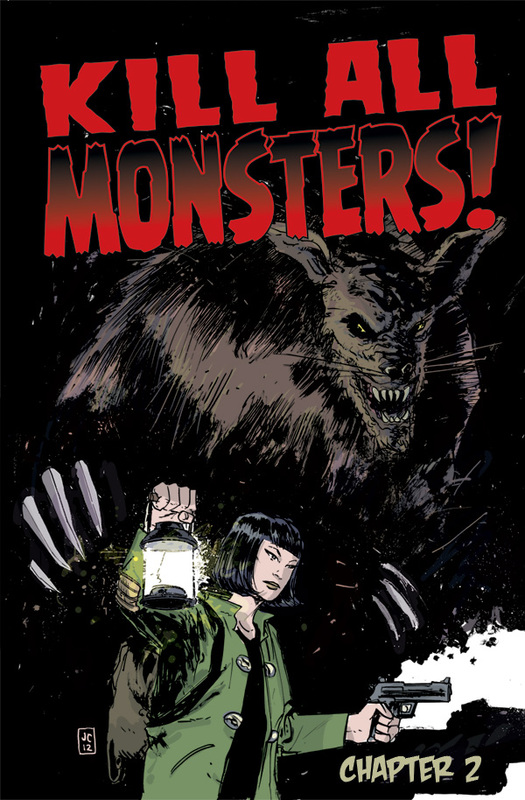 The main characters are a game warden (Clark), his girlfriend (Shepard), and her scientist father (McVey) who are investigating a report of strange animals attacking a poacher in the Everglades. The warden and scientist do most of the investigating; their girlfriend/daughter mostly makes sandwiches and takes daddy's side over a plan to dynamite the swamp in order to destroy the unseen creatures. She's a horrible character not because she sides with her father, but because she's never allowed to express why she does. She comes across as nothing more than Daddy's Girl, so I lost all interest in whether or not Clark could repair his relationship with her. As far as the two men go, though, their argument's one of the high points in the movie. It's not just a single conversation, but an ongoing discussion about ecology that goes through the whole story. Clark feels his main responsibility is to the environment; McVey is mostly concerned with saving human lives. Each man respects the other's opinion, but doesn't waver in his own convictions. I love stories that present both sides of a conflict equally well so that I have to think about which side I support. A second thing to like about the movie is a subplot around a local business owner (VeSota), his wife (Vickers), and one of his customers/friends (Emmet). VeSota is a big, fat guy who wants to look tough in front of his pals, but sultry Vickers is bored with swamp life and resents her husband for keeping her there. She spends most of her time playing loud music in the bedroom in the back of VeSota's store and inspiring lust in his customers, especially Emmet. There's a steamy, Southern gothic feel to this part of the plot and it gets extra interesting when Vickers and Emmet go missing. The audience knows whether VeSota or the giant leeches are responsible, but the authorities (who mostly disbelieve the poacher's report) don't. The last good thing I'll say about Attack of the Giant Leeches is about the completely ridiculous monster suits. They're classic in their badness, which makes them a lot of fun. If I'm honest though, all of that is me grasping for something to like about the movie. It's mostly just people running around the swamp looking for monsters and occasionally being attacked by them. At only 62 minutes, it's still a little long. What's 't about? : A lily-livered swabbie hires a pox-faced bilge-rat (Lugosi) in Haiti t' enslave a beautiful lass t' his will. Th' lass' husband objects. How be 't? : Thar be only two good things about this movie. First, th' sets an' matte paintings create a fine, cliff-top castle fer Lugosi`s character t'inhabit an' make a pleasin' spot fer th' climax. Second: Lugosi's beard's a right beauty. Other than that, th' story be straightforward an' dull, th' actin' be horrid, an' th' editin' be non-existent. None o' th' characters act like real swabbies an' th' scenes drag on longer than a list o' Blackbeard's wives. 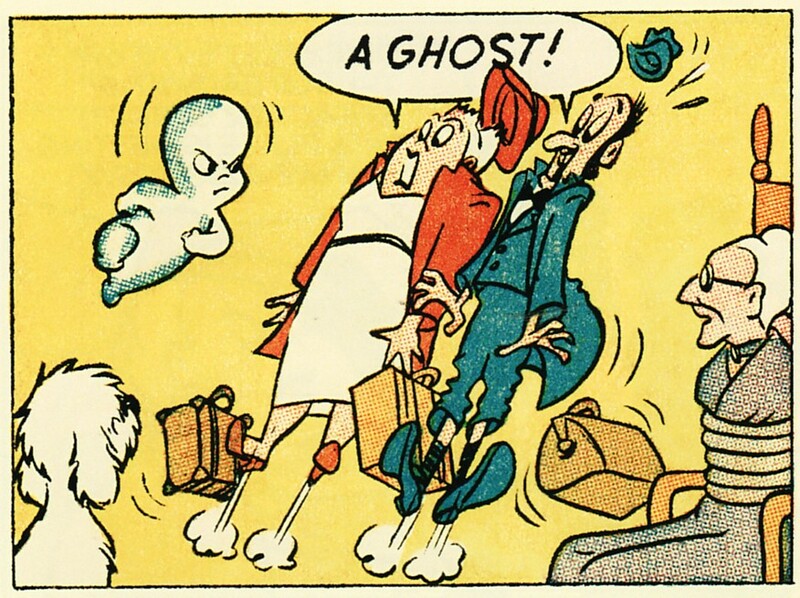 Some o' th' zombies be a'frightenin' t' eyeball, but others be downright comical. None o' them be as sound as th' ones in Night o' th' Livin' Dead. Kill All Monsters #2 almost done. Here's the cover! Garr! We be puttin' th' finishin' touches on th' extry material fer Kill All Monsters #2 an' th' issue ortin' ta hit Artist Alley Comics 'fore long. I'll be lettin' ye know when thet happens. In th' meanwhile, feast yer one good eye on th' new co'er Jason created fer 't! This be one o' th' best things 'bout serializin' th' story this here way. What's it about? : A dead millionaire leaves a complicated will, forcing his potential heirs to spend time in a dark mansion. Naturally, someone starts to kill them off. How is it? : Haley gives this comedy a lot of heart as a timid insurance salesman who shows up for an appointment he booked a month before the millionaire died. Parker plays the millionaire's favorite niece and she and Haley fall for each other and try to keep each other alive. The humor is farcical rather than joke-based, so while there aren't many laugh out loud moments, it's a lot of fun. Haley strikes a nice balance in his performance. 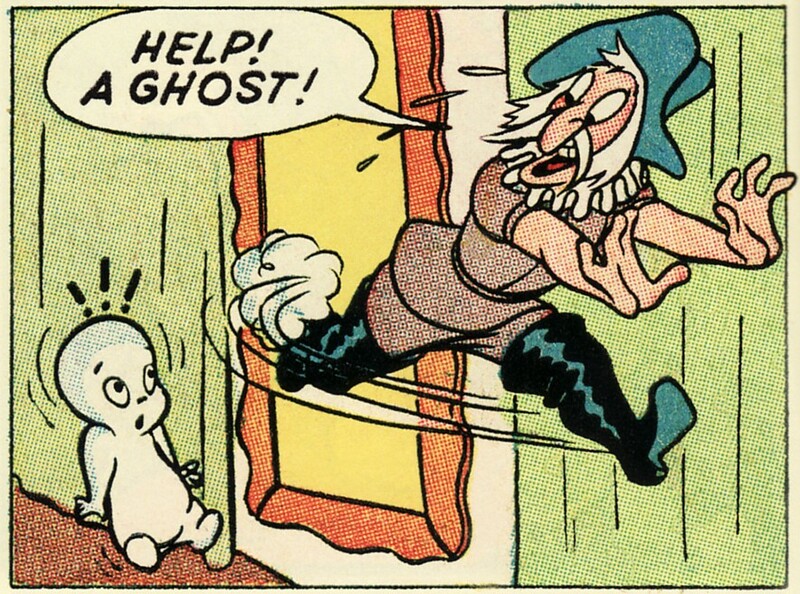 He's comically frightened without being slapsticky about it. The funniest stuff has to do with Lugosi and Blanche Yurka as the millionaire's butler and maid. They're as suspicious as anyone and are constantly offering (possibly poisoned) coffee to the rest of the characters. Lugosi's disappointment each time he's refused is pricelessly hilarious. Rating: Good. It's worth watching especially if you like movies about old, dark houses with lots of secret passages, but Haley is also charming. 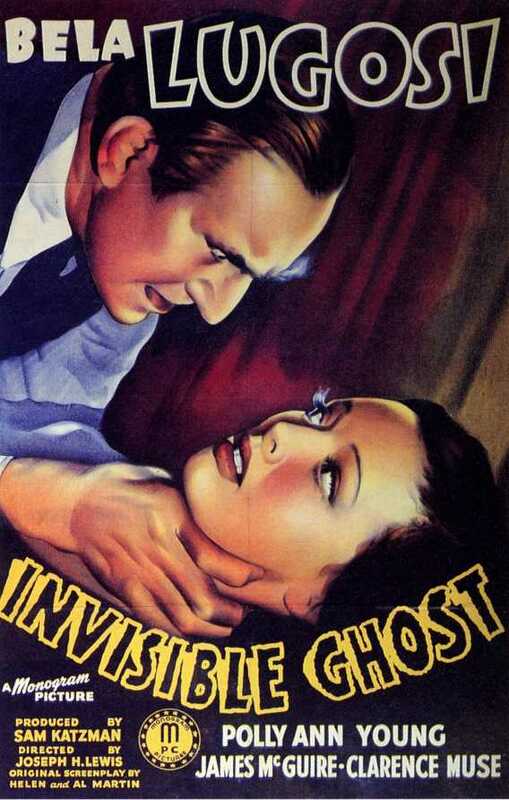 If you're a fan of Lugosi at all though, it's a must see. What's it about? 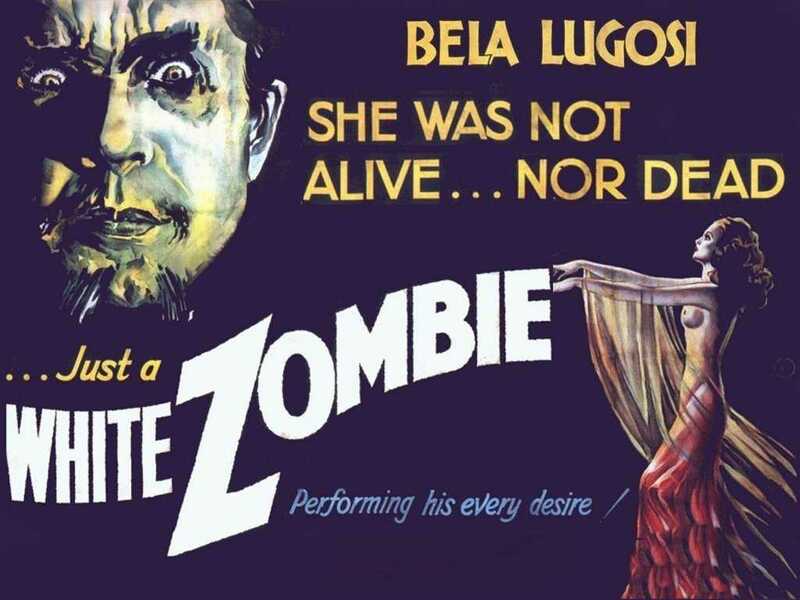 : Lugosi suffers episodes of temporary insanity during which he murders members of his household, but doesn't remember doing so later. This isn't a spoiler, because the movie never tries to hide what's going on. The mystery isn't in who's killing people, but in how he'll get caught. How is it? : Really silly. The source of Lugosi's fits is ridiculous and complicated. His wife ran off years ago with another man and apparently died in a car crash. She didn't really die though, but has been kept in a cellar on Lugosi's estate by Lugosi's gardener. The gardener has been trying to nurse her back to health in order to return her to Lugosi, but he also realizes that Lugosi probably wouldn't appreciate being lied to all these years, so he's procrastinating about getting her back home. 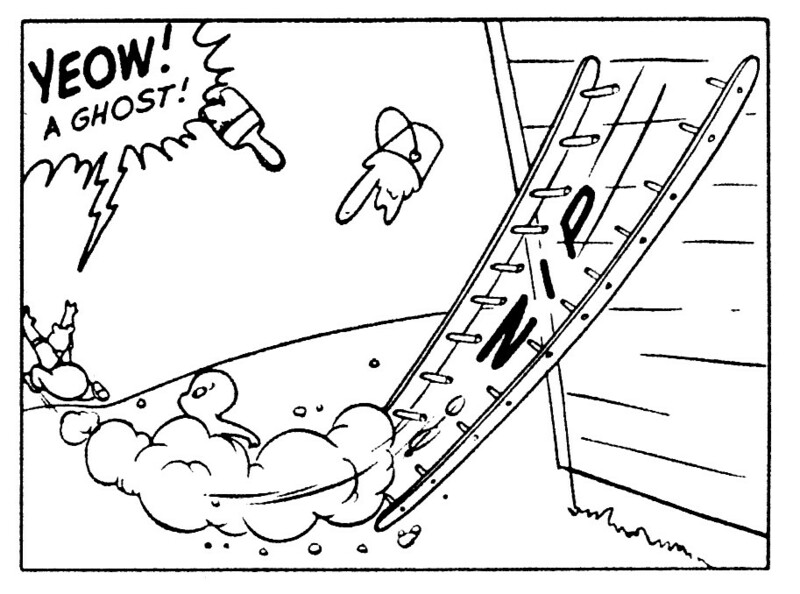 In the meantime, she occasionally escapes the cellar (she's not locked in or anything) and whenever Lugosi sees her wandering the grounds, he goes into a fit of rage and kills a member of his household staff. Still, for all the goofiness, it's hard to dislike Bela Lugosi sleepwalking his way around a spooky house and strangling people with his robe. And there are some genuinely creepy scenes of the wife appearing outside windows when she escapes. 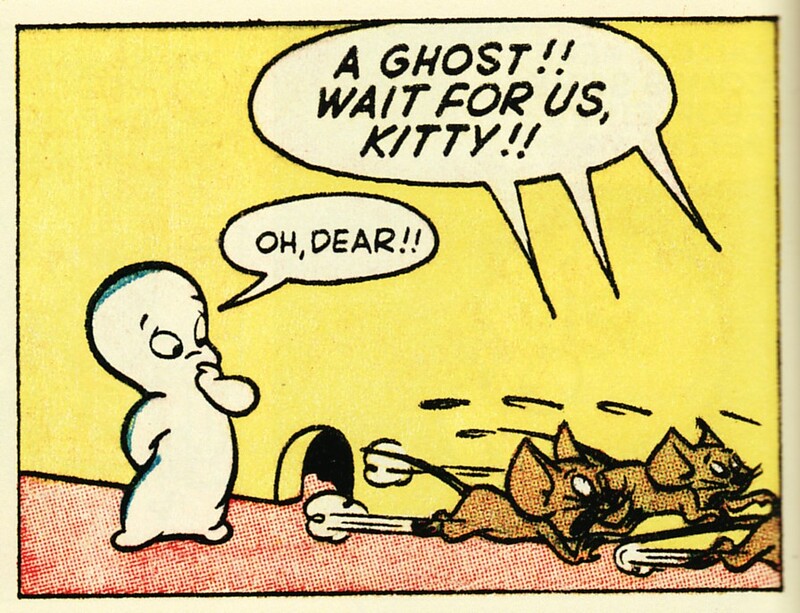 As far as I can tell, she's the "invisible ghost" since Lugosi's the only one who sees her and she's supposed to be dead, but the title could also apply to Lugosi himself since he's the unseen killer stalking the household. Young plays Lugosi's daughter, Muse has a delightful role as Lugosi's trusty butler, and McGuire plays dual parts as twin brothers, one of whom is engaged to Young and accused of committing the murders. What's it about? : One by one, Lugosi kills off a secret cabal of U.S. fifth columnists during WWII. Clayton Moore investigates the murders. How is it? : It's not a horror movie, but gets into the 50 Horror Classics collection simply for having Lugosi in it. Most of the film is an interesting spy thriller. Lugosi moves into the home of one of the columnists (Pembroke) and uses it as his base of operations while he murders the others, leaving their bodies on the steps of the Japanese embassy with Japanese daggers in their hands. Barclay plays Pembroke's niece, who also lives in Pembroke's house and seems more interested in Lugosi's character than she is in Moore's G-Man who has the hots for her. Unfortunately, the movie drives completely off the rails in the last few minutes as Lugosi's motivations are revealed. SPOILER: He's actually a former Nazi plastic surgeon who transformed Japanese spies (the titular Black Dragons) into U.S. industrialists so that they could become the fifth columnists. They betrayed him though and locked him in prison, but just HAPPENED to put him in a cell with a guy who looks exactly like Lugosi and was being released the next day. 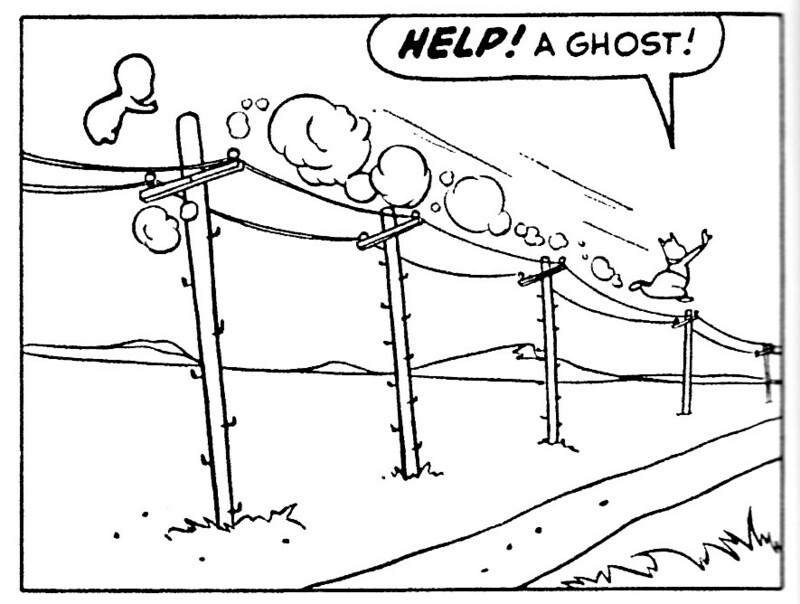 No bonus points for figuring out how Lugosi escaped. The movie was doing so well up to that point and would have been Good if only it hadn't tried for a shocking revelation. What's it about? : A scientist kills his unfaithful wife and her lover, then marries her twin step-sister (?! ), to try to claim her fortune. Too bad the wife and her boyfriend aren't quite done with the doctor just yet. How is it? : Pretty ridiculous. Steele plays both the wife and her step-sister, which makes no sense. Why couldn't it just have been an honest-for-real twin sister? There's also an unnecessary plot about the doctor's trying to keep his own lover - an elderly housekeeper - young with some sort of essence he took from his wife's corpse and plans to take from the sister once he's done with her. More shades of The Corpse Vanishes. And the doctor's plan to drive his mentally unstable, new bride completely insane is totally reminiscent of Gaslight. The movie does take place in a castle though with lots of secret passages and hidden rooms, so it has that going for it. And the ghosts of the wife and her lover are pretty spooky, though not as cool as they look on that poster. What's it about? 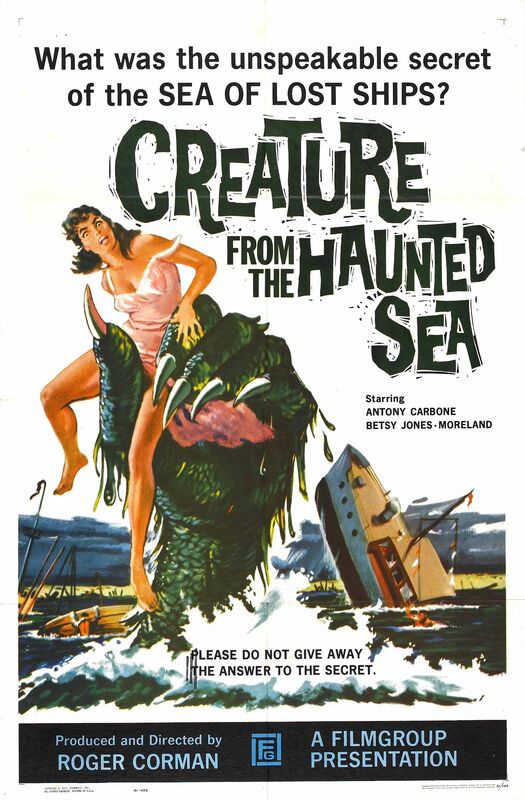 : American criminals help Cuban officials smuggle money off the island after Castro's revolution, but plan to steal the loot by claiming that a sea monster is murdering the guards and forcing them to divert course. Unfortunately, the monster is REAL! How is it? : It's a Roger Corman movie, so adjust expectations accordingly. Also, it's a comedy. The monster is absolutely ridiculous-looking, but it's supposed to be. The film spoofs everything from monster movies to spy films and musicals and it's often legitimately, intentionally funny. I laughed out loud several times. There's an especially memorable scene where the girlfriend (Jones-Moreland) of the lead crook (Carbone) croons a song to entertain the crew and continues unfazed when a gunfight erupts around her. 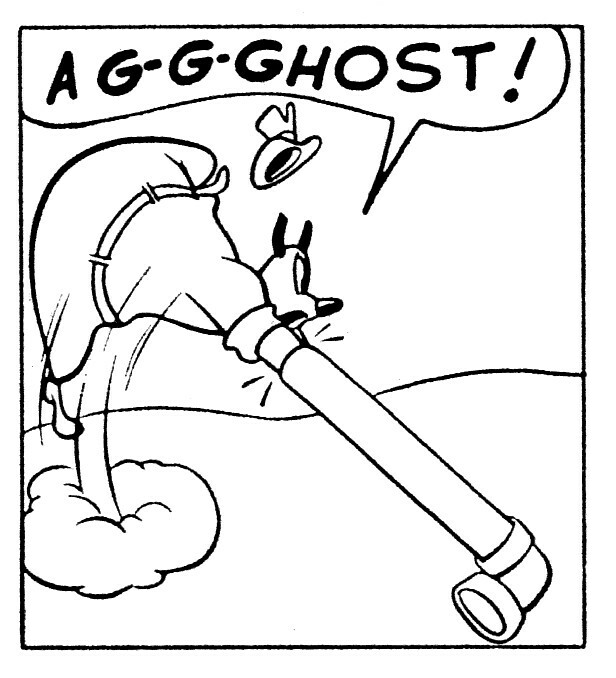 Towne is also very funny as the deadpan, hapless secret agent XK150 who's undercover on the boat to spy on the bad guys. What's it about? : A stripper (Loret) is disfigured in a car accident and approached by a scientist (Lupo) who promises to restore her looks. Unfortunately, his feelings for her may be driving him...mad! How is it? 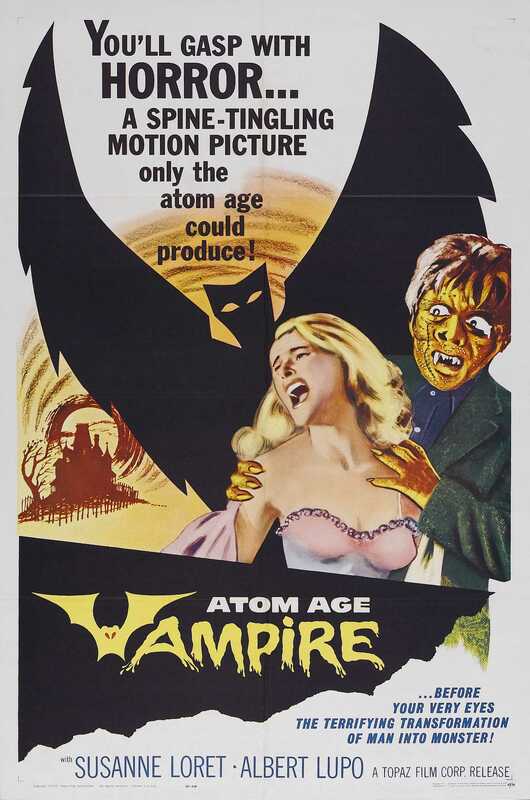 : The "vampire" in the title is purely metaphorical, and so (along with the bat on the poster), completely misleading. There's a reference in the dialogue to the monster's being like a vampire, but only in the sense that he's stealing some kind of precious life-force from people. Plotwise, the movie has a lot more in common with The Corpse Vanishes (a movie we'll get to later) than Dracula: the mad professor has to kill women to keep his beautiful love-interest looking flawless. It was originally an Italian-language movie, so there's some dubbing to get past, but I do like Loret's character. She's vain enough to be miserable when her face is horribly scarred, but human enough to be horrified by the professor and his solution for healing her. It's an interesting conflict. The monster is pretty gratuitous though. The professor uses radiation (it's the Atom Age!) to intentionally transform himself so that he can avoid being recognized on his killing sprees. That seems like a pretty extreme solution, but he is mad, I guess, so I shouldn't judge. Who's in it? : Nobody you know. What's it about? 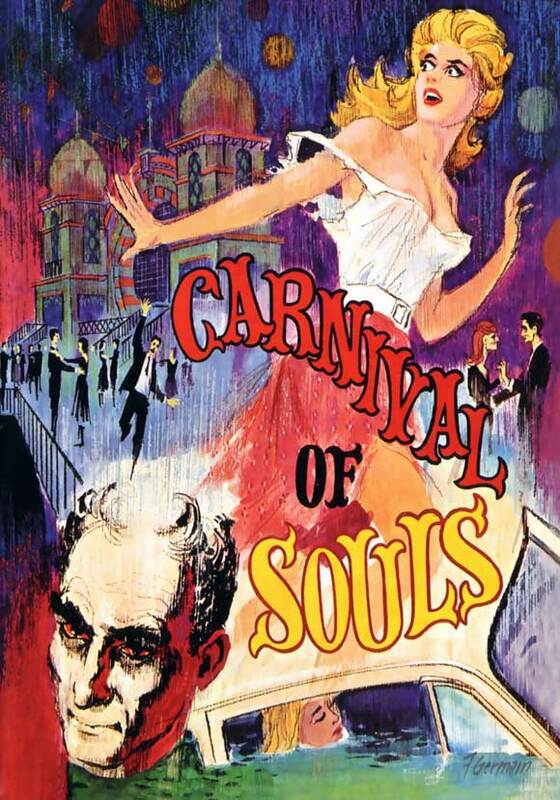 : A young woman survives a traumatic car crash, but is followed by a dead man and drawn to an abandoned carnival ground. How is it? : Surprisingly complex and effective. Though it's the first narrative film by people better known for industrial/educational movies, it has deep themes about isolation and human connection. The main character, Mary (Candace Hilligoss) wasn't a very social person before the accident that killed two of her acquaintances, but her narrow escape from death has left her even more disconnected. She's a church organist, and a good one, but she repeatedly hears that she'd be truly great if only she put more soul into her playing. The film's not subtle about this: Mary lacks something and isn't quite human. She doesn't think of her disconnection as a problem until she starts being pursued by a ghostly figure and feeling called towards a spooky, deserted fairground inhabited by other dead people. She also begins to experience episodes in which no one seems to be able to see or hear her. As the film progresses, she gets more and more freaked out and starts to wonder if its too late to reach out to people, but even when she interacts with others, the amateurish acting of her co-stars makes those encounters feel unreal and heightens the sense of disconnection. It's a unique instance of a film actually being enhanced by the unprofessionalism of its cast. Final rating: Classic. If you dig films like the original Night of the Living Dead, you should really check this out. 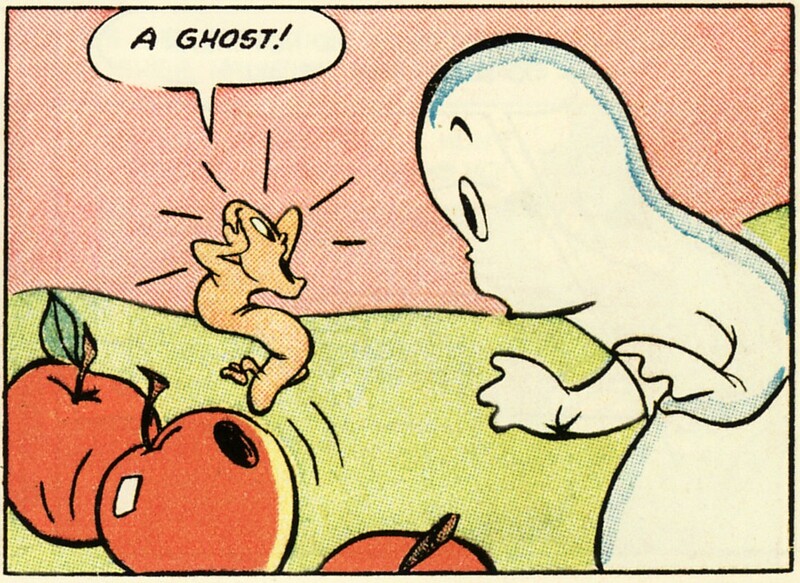 By my count, we have 48 days to Halloween, so we have time to watch Casper scare 48 different people and/or chickens. As you can see at the top of the sidebar when you visit the blog, I'm participating in the annual Countdown to Halloween again this year. It officially kicks off on October 1 and I've got what I hope will be a fun feature planned for it, but... I'm antsy to start celebrating now. One of the things I do every year around this time is marathon my way through a series of horror movies. This year, I'm working my way through the super-cheap 50 Horror Classics DVD set that I picked up several years ago, but have never watched front-to-back. As you can see from the cover above, there's a wide range in quality from the masterpiece Nosferatu all the way down to The Killer Shrews. I figured it would be fun to talk briefly about each film as I see it, so starting tomorrow, that's what I'll be doing. In order to finish on Halloween, I'll have to hit a couple of movies the first two days, but starting Monday we'll do a film a day until October 31. Also starting tomorrow, I've got a fun, comics-related feature planned that will help us count down, but I'll let it introduce itself. Then on October 1, I'll start what I had planned for the Official Countdown to Halloween. It's similar to what I did last year. That makes three spooky features to help get us excited for the big day. 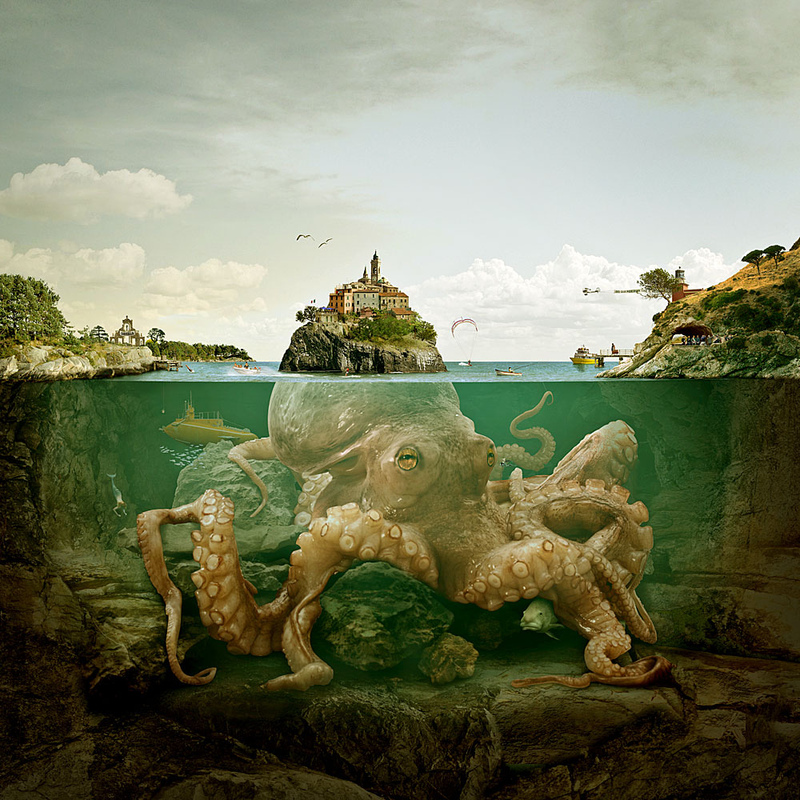 I'll also try to keep up with Song of the Week and Everyone Hates Cephalopods, but other than that, Halloween's taking over the blog for the next month-and-a-half. Hope you're ready! 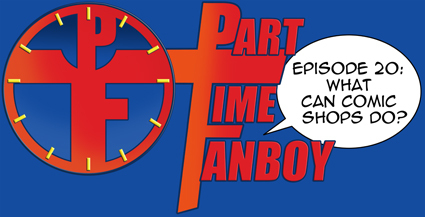 Artist Alley Comics was sort of mentioned in the most recent episode of the Part Time Fanboy podcast. The idea behind the series is that hosts Kristian and Paul are more or less lapsed comics fans. 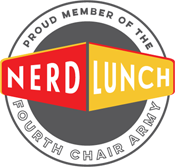 They still enjoy the medium, but aren't part of the regular crowd that heads to the comic shop every Wednesday for new comics. The topic for Episode 20 was what comic shops could do to get readers like them back into the store every week. Digital comics came up as part of that conversation, because they're more convenient than traveling to a physical location every week, but neither host much likes the idea of paying print prices for a comiXology comic that you don't even really get to keep. I use comiXology quite a bit and understand the advantages of that model, but PTF's Kristian points out the disadvantages pretty clearly. 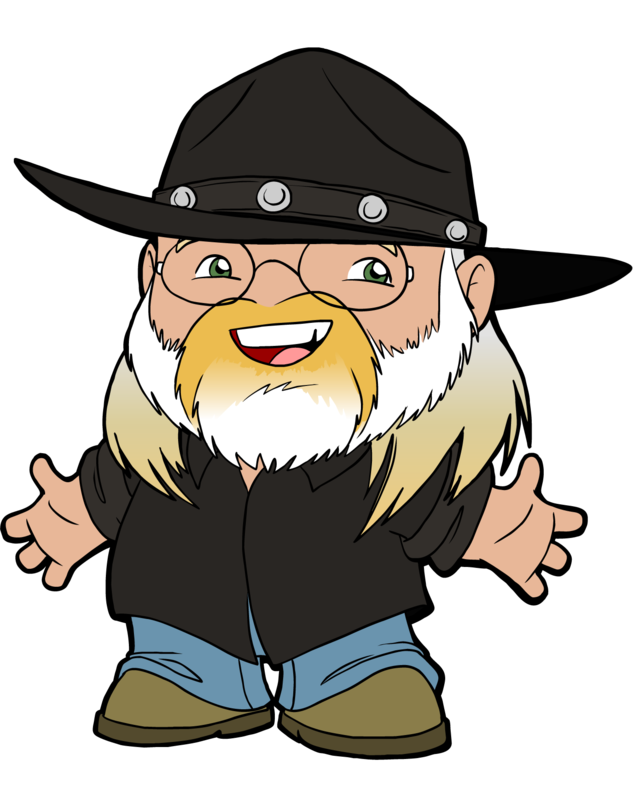 Though he doesn't mention Artist Alley Comics by name in the podcast, he refers to it (and links to it in the show's notes) as what he's looking for in digital comics: affordable (99 cents!) installments that you can keep forever and ever. It sounds like they may talk more about AAC on the next show, so stay tuned for that. 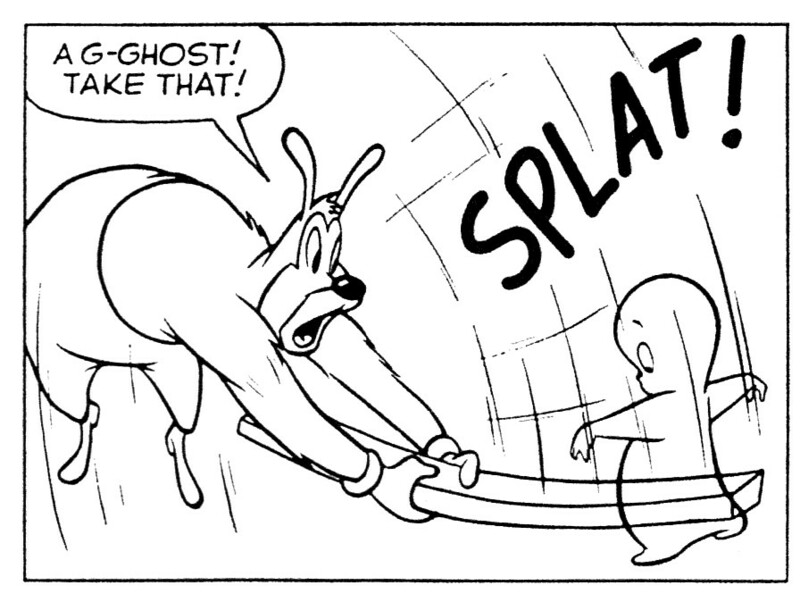 This Moment of Truth brought to you by Doug TenNapel's Ghostopolis. I'm a big fan of the idea of creator-owned comics and self-published books. I love how the Internet and digital media help individual creators to succeed and profit from their own work. Apparently, that love of the Do It Yourself philosophy is starting to spill into other aspects of my life as well. Especially in regard to small businesses. I hadn't really thought of it in these terms before, but a few weeks ago, our neighborhood held an event to promote area businesses of all sizes. It was called Night Out on East 7th Street and it was a lot of fun. Diane had a table to promote her artwork, so David and I walked up and down Saint Paul's East 7th Street with our friend Andy. Our neighborhood paper, the Dayton's Bluff District Forum got a picture of us, so that's us in the red circle above. You can click the photo for a closer look. What was great about the event was that we discovered a lot of outstanding restaurants and other businesses that we didn't even realize existed. We've got three or four, authentic Mexican restaurants (including a bakery) in our neighborhood and an awesome Salvadoran place. There's an adoption shelter for cats, a couple of grocery stores, lots of clothing boutiques, and a place to get your printer cartridges refilled. We were familiar with one of the restaurants, a coffee shop, a print shop, and David's karate dojo, but that was the extent of our usual patronage on that street. We'll be paying closer attention to the other businesses from now on, meaning that the event was a great success. I've always been a fan of comics shops and independent bookstores, so it's not a revelation to me that I should be supporting small businesses. The revelation is that it can actually be convenient to do that too. I just needed to have my eyes opened to what's around me. David wasn't that excited to head back to class this week, so I figured it was time for one of the hallmarks of great teaching: the Inspirational Speech. 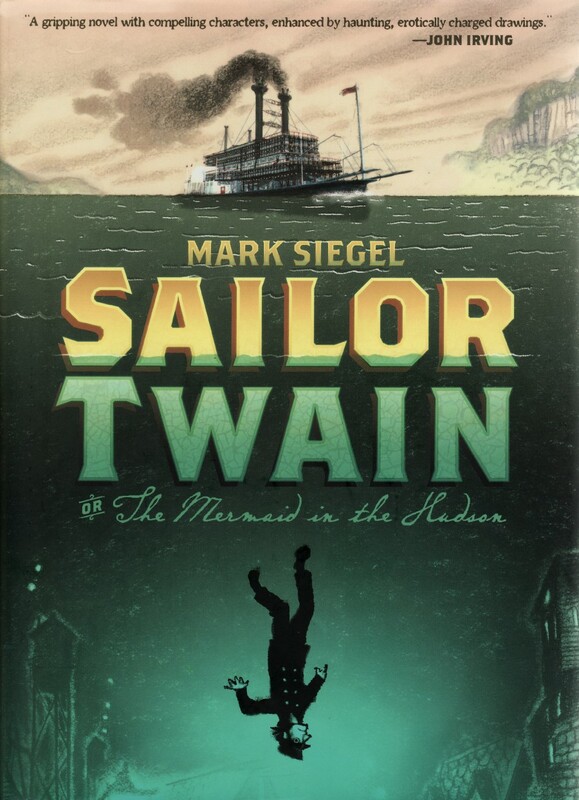 I ended up with two copies of Mark Siegel's excellent Sailor Twain graphic novel, so I'd like to give one away. It's not even available to buy until October 2, so getting one now is kind of a cool deal. If you'd like it, reply below or send me a tweet telling me you're entering the giveaway. That's all you have to do. At the end of the day tomorrow, I'll pick a random name from all the entries up to that point. If you want to know more about the book, you can read my review at Robot 6. If you live in the Minneapolis/Saint Paul area, you might like to know that the Mounds Theatre Community Players have been doing a series of plays based on Terry Pratchett's Discworld books. Guards! Guards! is the eighth novel in the series, but the third play after Mort and The Amazing Maurice and His Educated Rodents. Unfortunately, I haven't read a lot of Pratchett (Good Omens with Neil Gaiman may be the only one), but the Mounds Theatre usually does a great job and I'm looking forward to seeing how they pull this off. Here there be dragons . . . and the denizens of Ankh-Morpork wish one huge fire breather would return from whence it came. Long believed extinct, a superb specimen of Draco Nobilis ('noble dragon' for those who don't understand italics) has appeared in Discworld's greatest city. Not only does this unwelcome visitor have a nasty habit of charbroiling everything in its path, in rather short order it is crowned King (it is a noble dragon, after all . . .) Meanwhile, back at Unseen University, an ancient and long-forgotten volume -- The Summoning of Dragons -- is missing from the Library's shelves. 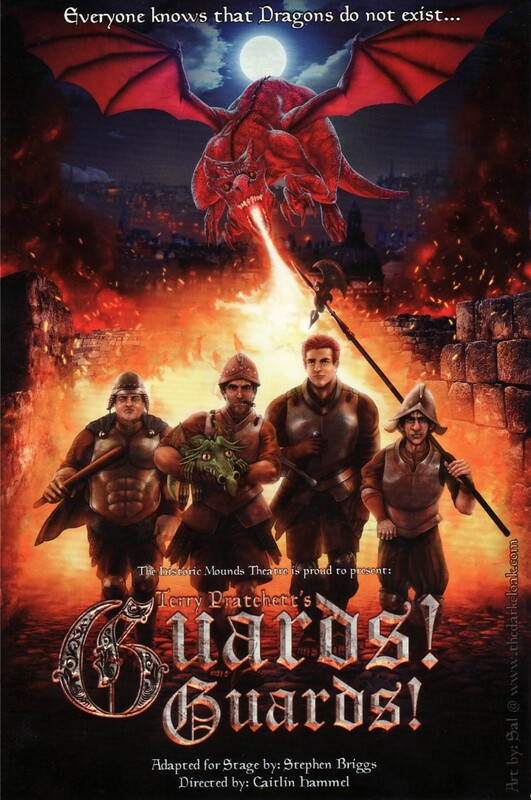 To the rescue comes Captain Vimes, Constable Carrot, and the rest of the Night Watch who, along with other brave citizens, risk everything, including a good roasting, to dethrone the flying monarch and restore order to Ankh-Morpork (before it's burned to a crisp). A rare tale, well done as only Terry Pratchett can. Showtimes are 7:30 pm on Fridays and Saturdays (September 7, 8, 14, 15, 21, and 22) and 2:00 pm on Sundays (September 9, 16, 23). 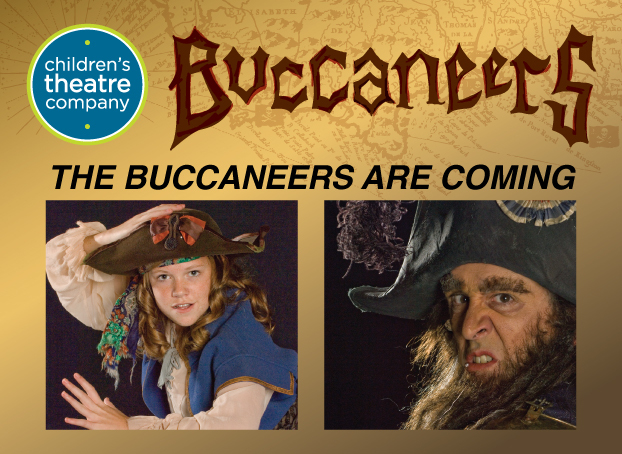 Tickets are $15 for adults, $10 for students and seniors, and $6 for kids under 12. Shoot me an email if you want to go and I'll let you know when we're planning to attend. It could be like a date! Artist Alley Comics got a nice write-up by Augie De Blieck Jr. on his Pipeline column at Comic Book Resources. 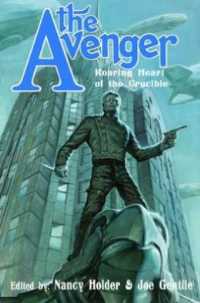 Before I go any further in talking about it, I should mention that Augie and I are technically colleagues because we both write for CBR, but - though I admire his writing - he and I don't actually know each other. CBR is a big place. He points out some potential improvements to AAC's business model (like notifications when new issues hit), and he's right in guessing that those are things AAC is working on. 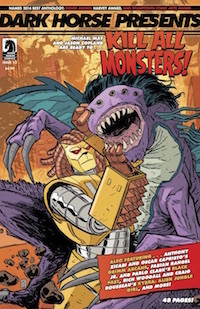 He also reviewed three of the comics: Kyrra: Alien Jungle Girl, Danny Clyde, and Kill All Monsters. 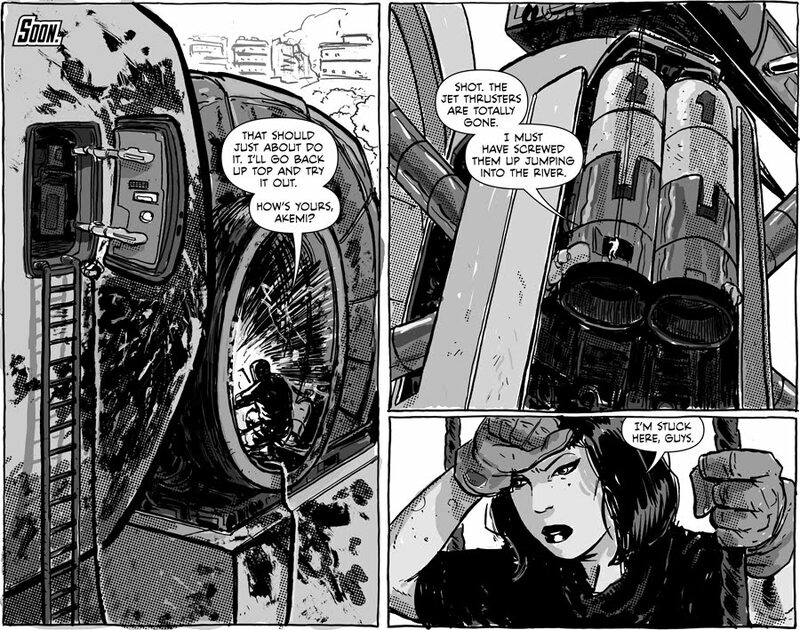 He calls KAM "strikingly drawn" and notes that the first issue is mostly "Kaiju versus Robots! Fight!" and that "the oversized fights are what sell the book." He's totally right of course, as is his prediction that it's "probably a little deeper than that." We wanted to start the series with a bang, but as future issues come out, I hope we prove that we're telling an actual story with characters and themes and everything. Thanks so much to Augie for the nice review. 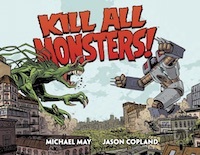 If you haven't checked out Kill All Monsters! yet, the first issue is totally free, so please go give it a look.